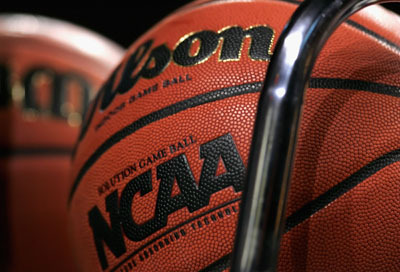 March Madness is an annual event that sports fans look forward to each year. I would imagine that more TV sets are flashing images of slam dunks than they are of Duck Dynasty. The Big 12 entered the tournament with high expectations and much optimism; however, by the end of the first round reality had struck. The University of Texas, Baylor, Oklahoma State, and Iowa State University had suffered defeat and have been sidelined for the rest of the tournament. The youthful enthusiasm and hard work of their players was outmatched by the effort of their opponents. Three teams from the Big 12 live to fight another day. Kansas University, Oklahoma University, and feisty West Virginia move forward into round two. Of these three, the Rock-Chalk-Jayhawks of KU have one of the more interesting matchups. The regular season Big 12 champs will face the Wichita State University from the Missouri Valley. This is a game that many from the state of Kansas have been asking for since Greg Marshall placed his winning brand on the WSU program. Basketball, like other sports, can have a long-lasting impact on the lives of those who have played the game. Players benefit from both the positive influence of coaches and teammates, and the discipline they have learned. Integrity: A Christ-like wholeness that is to be demonstrated privately, and publicly. (Proverbs 11:3). Serving: A life that reflects the servant’s heart of Jesus (John 13:1-7). Teamwork: A unity in all of our relationships that is possible through Christ (Philippians 2:1-54). When you set down in front of your TV to watch your favorite team, give some thought to these four core values. During the timeouts or commercials, examine your life to see if these values are at the core of your life.